Na de screening volgt een gesprek met de filmmaker. Een initiatief van Courtisane & De Imagerie, i.s.m. en met de steun van Austrian Cultural Forum Brussels, Goethe-Institut Brussels en Bozar Cinema. In de context van DISSENT!, een initiatief van Courtisane, Auguste Orts en Argos. The Waldheim Waltz is a film about truth and lies or “alternative facts”. About individual and collective consciousness. “Waldheim no, Waldheim no” shouts a crowd in the center of Vienna in 1986. Ruth Beckermann was one of the activists trying to prevent the election of Kurt Waldheim and documented the political events with her camera. More than 30 years later she goes back into her own archive and additionally uses international TV-material to analyse this turning point in Austrian political culture. The film shows the tangled web that former UN Secretary General Kurt Waldheim became ensnared in by concealing two years of his wartime biography. It shows the swift succession of new allegations by the World Jewish Congress against him, the denial by the Austrian political class, the outbreak of anti-Semitism and patriotism, which finally led to his election. Austria was highly successful in practising the deception on itself and the world that it had been the first victim of the Nazis. Despite the fact that a whole generation knew the truth, this image of innocence was serially reproduced in official speeches, books and Heimatfilms. This film shows how deeper-lying levels of consciousness slowly carve out a path to the surface. 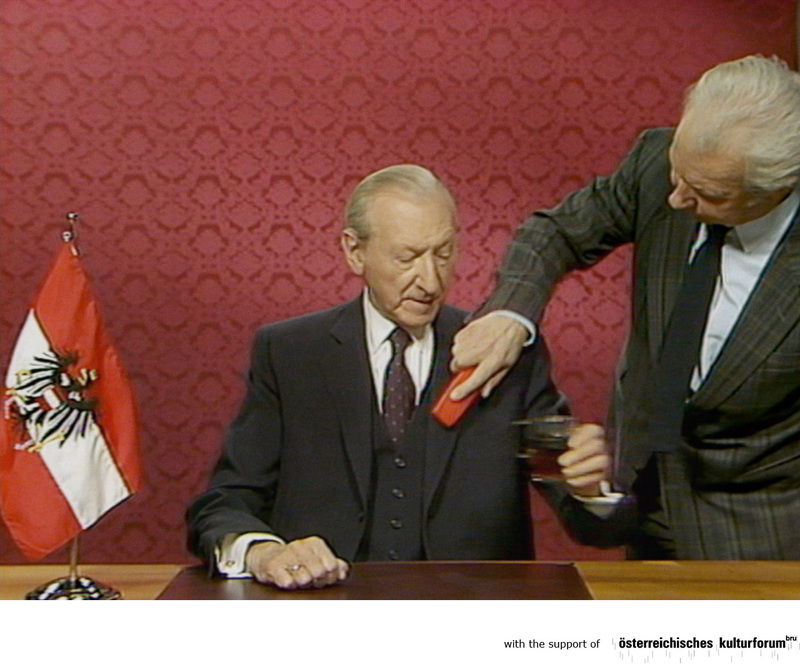 Narrated by Ruth Beckermann, The Waldheim Waltz sets the Waldheim affair in a bigger international political context, yet 30 years on, it is dauntingly timely.